Leather time for your fall wardrobe! If you had to buy just one piece for your fall wardrobe this should be a leather one, in black. It’s one of those statement piece that can transform an old look into a “notice me now” look in no time. It’s a must have item for your wardrobe every woman should own one. 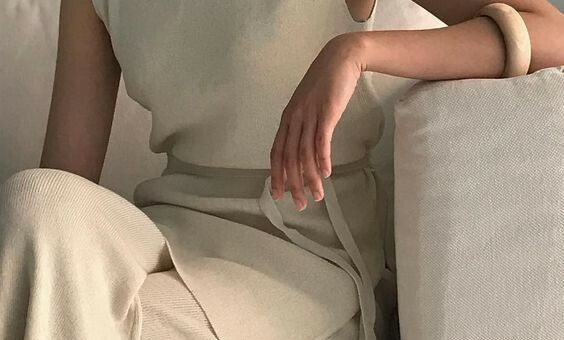 Best if versatile, that you can wear at work with some nice black elegant pants or a pleated skirt or that you can rock at the end of the day for a dinner out with friends or family. This piece is on my wish list! You can try it for a new work style and it’s so easy to put together something very stylish and fashionable. Sharpen up the look with a nice silk blouse or a cashmere sweater and here you go. Try it in chocolate, black or purple. 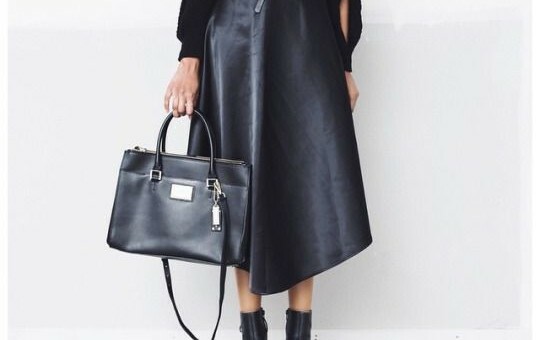 Like I always say sometimes the right fabulous new piece can change your old look completely, the leather skirt it’s definitely that right fabulous piece for this ’14 fall. Simple and sophisticated, it’s the new black dress! Olivia Palermo is wearing a Diane von Furstenberg leather wrap dress and Aquazzura + Olivia Palermo Cutout Leather Sandals.